Books related to If I Understood You, Would I Have This Look on My Face? So practical in it’s delivery. 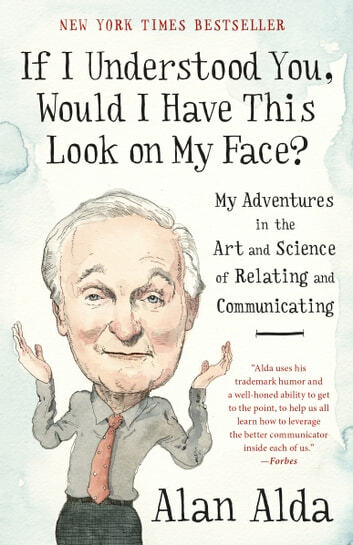 Alda practices what he preaches and applies his method effectively in his writing. I want everyone in my life to read this. It applies to every profession and important aspects of our lives. Read it on e-reader but need to buy the hard copy so I can highlight it and fill it with sticky notes! Lost count how many times I sent quotes from this book to friends and colleagues. A big part of my professional life, in which I claim to be an IT Professional, has been writing, teaching, and public speaking. 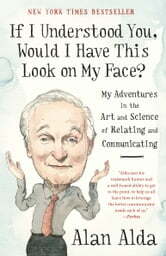 I have been a fan of Alan Alda since I discovered M*A*S*H, and I bought he book strictly for the author. I was shocked by how insightful it was! Many of the lessons pointed out reinforced things I already do, but others were new and I look forward to trying them out. While the focus is on communications for scientists, I truly believe that every person can benefit from this amazing book!